All very pleasant, we even ended up staying in a bigger apartment than booked. Pefectly cleaned room and was good place to cook! The host was very helpful and nice. Everything was great. The place was perfect and we were very well received. Great people, friend my welcome.went out of their way to make sure construction work next door was stopped in the morning and weekend. The location great, very close to cafes and metro. A good clean studio with a small but functional bathroom. We were offered an upgrade of the accommodation for the same value. The apartment we stayed in had a great location, was new, comfortable and very clean. The apartment was clean and comfortable . It was Central , close to a metro station you can also find baker, supermarkets for everything you could need just few minutes a walk, close to the center of the city as well Personal are very friendly and helpful, always asking if We need help. I would recommend it and book it again if would come back to porto. Very warm welcome with all useful informations. Tips what to see and were to go to eat were great. And help a lot to planned our stay in Porto. 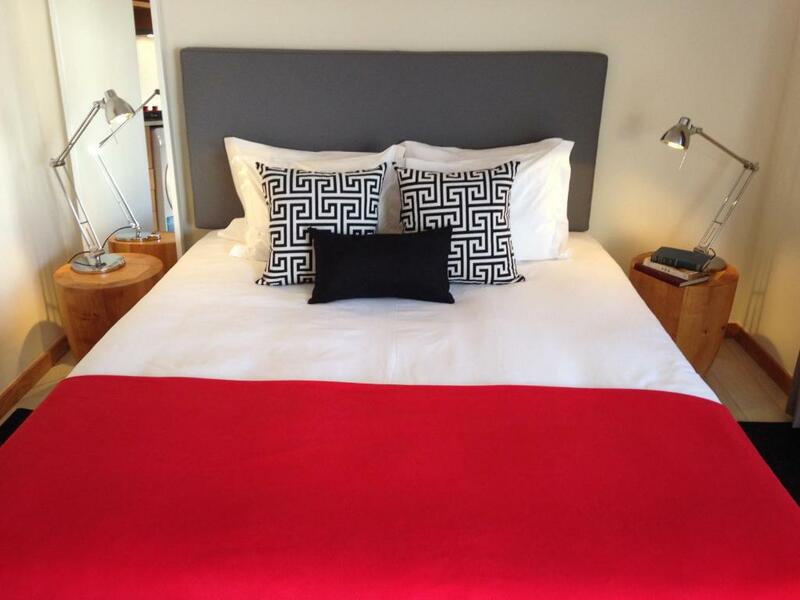 Lock in a great price for Porto Studios Heroísmo – rated 8.6 by recent guests! One of our best sellers in Porto! 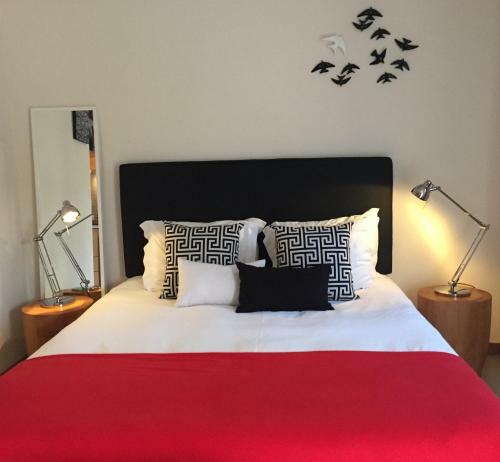 Located within a 16-minute walk of Oporto Coliseum and one mile of City Market Bolhao in Porto, Porto Studios Heroísmo has accommodations with free WiFi and a kitchenette. The apartment offers a flat-screen TV and a private bathroom with free toiletries, a hair dryer and shower. There's also a microwave, toaster and a coffee machine. 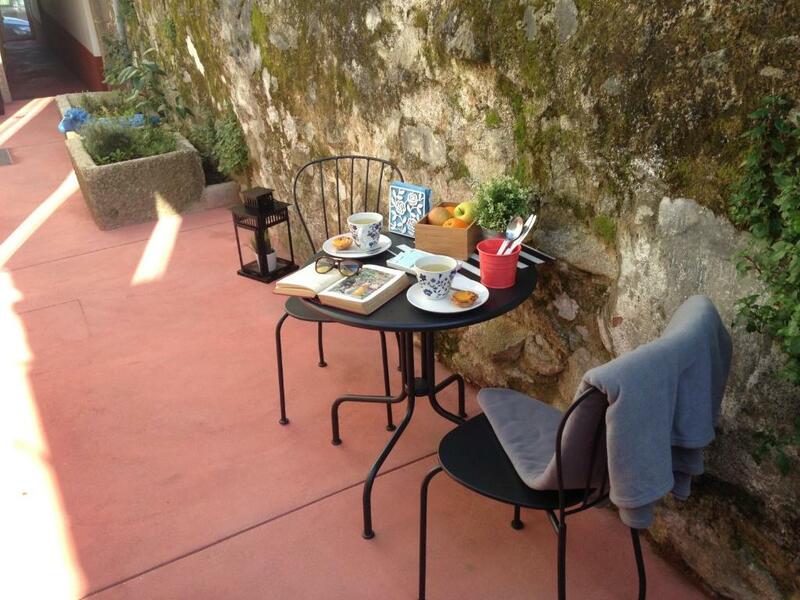 A continental breakfast is available daily at Porto Studios Heroísmo. Ribeira Square is 1.9 miles from Porto Studios Heroísmo. Francisco Sá Carneiro Airport is 11 miles away. 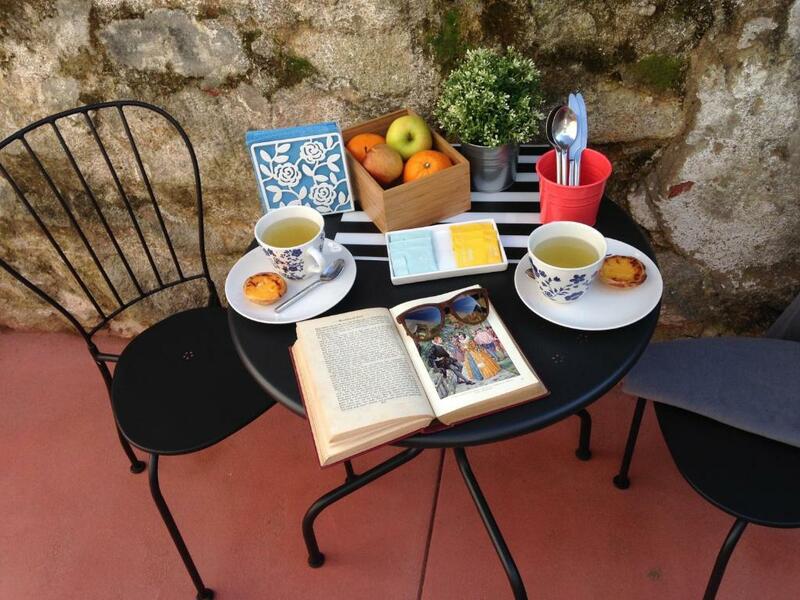 When would you like to stay at Porto Studios Heroísmo? This apartment has a patio. This apartment features a patio. “Ilhas” (islands) are a type of construction that appeared in city of Porto in the 19th century and still exist today. They were the solution found to answer the need for housing, that increased with the migration of workers from the rural space to the industrial city. “Ilhas” were constructed by the employers and were usually located in the back of the employer’s houses. They are made of rows of 10/12 single-storeyhouses, with approximately 15m2 are each, placed along a narrow corridor. It is located in a very cozy area, where people know each other, and most of the houses has old families leaving. 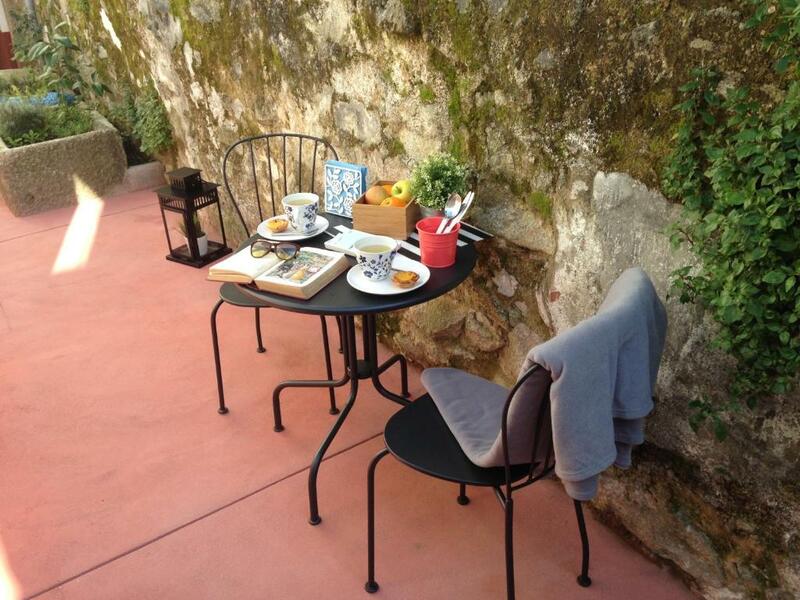 You can expect to find a quiet place, in a very old street of Porto. Area Info – This neighborhood is a great choice for travelers interested in monuments, walking and riverside walks – Check location Great location - show map Guests loved walking around the neighborhood! House Rules Porto Studios Heroísmo takes special requests – add in the next step! Please note that the property doesn't have a reception. Late check-in after 22:00 must be requested in advance and is subject to confirmation. Please also note that guests may be charged for any damage caused during the stay. This property only accepts children up to 3 year old on 2 of the apartments, please contact the property directly when bringing a child, for availability. The baby crib/cot must be brought by the guests. For stays of 6 nights or more, one cleaning service is available for free. Extra cleaning is possible upon request, for a surcharge. Please inform Heroísmo Studios in advance of your expected arrival time. Arriving at not expected times or not informing about the arrival time may result in a 1-hour wait time. Please note that the apartments washing machine cannot be used due to technical issues. There is a laundry service within 1,000 feet. Having to wait in the rain to gain access and not feeling secure . There was just a small heater and though we left it on during the day, the flat was not very warm. Didn't like little bit cold in bathroom in winter. Neat but tiny and humid bathroom and the heater was too small to heat whole room. In December is in Porto higher humidity, but thats part of winter in Portugal. The kitchen seemed a bit for show. The washing machine wasn’t connected and the extraction fan didn’t seem to be working. Fine for the essentials but not great if you wanted to prepare food. The bathroom was quite cramped. Comfortable clean wee place. Maria who checked us in was amazing giving us loads of info about Porto. Very small room and especially the bathroom. There were noises only during the working days and hours because of a working activity, without disturbing our sleeping hours since we woke up at 8:00 everyday. The location is excellent. Quite neighborhood. Comfort mattress. The hostess was great. She was available any time for what ever we needed. Our only issue was there was a cockroach in the room that crawled out from the kitchen area. This was a great place to stay for a night or two. It is an easy 10 minute walk from Campanha Station and the host who met us upon arrival was so friendly and gave us a ton of great info about Porto. The space is a bit tight but it has all you need including a comfortable bed and kitchen. The room was a bit humid and there was no air condition available. But this is grousing on a high level. Excellent service and very well located. Very responsive hosts and always had an open ear. The bed war very comfy and the appartment well equipped. The cost-benefit ratio is fair. We choose this place because of the great location. Easy access to transport & was no problem parking the car. The room was decorated nicely, well equipped & comfortable. The host (Tony) welcomed us & gave lots of useful information. Groundfloor apartment, with no fresh air. Window could not be opened. Facilities of apartment were OK, but because of no fresh air, no aircondition, not very convenient to sleep.